Floyd Mayweather Jr. insisted Monday that demolishing a small kickboxer half his age wasn’t a preview of his real return to boxing. 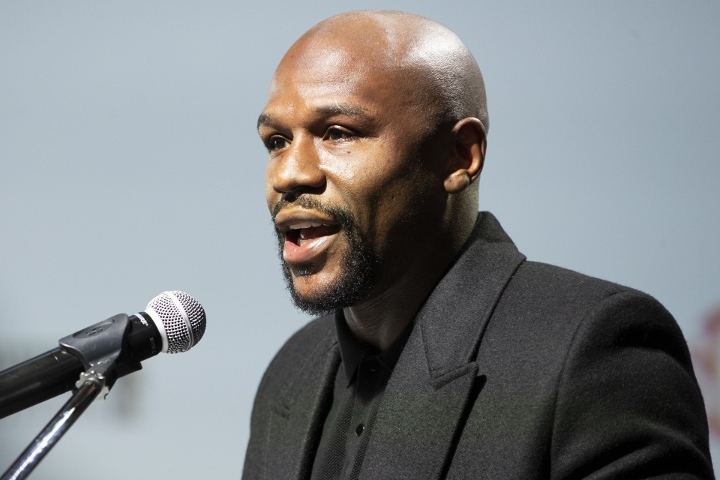 After flooring Tenshin Nasukawa three times and stopping him in the first round of their three-round exhibition in Saitama, Japan, Mayweather claimed that he’ll remain retired from boxing. The 41-year-old legend’s easy victory over Nasukawa doesn’t count on his perfect record (50-0, 27 KOs). Speculation persists that Mayweather will end his third retirement and return to the ring for an official fight in 2019, probably a rematch against Filipino icon Manny Pacquiao. Mayweather maintained Monday that he isn’t interested in boxing again. Mayweather’s promotional company is one of the organizers of Pacquiao’s next fight – a showdown against Adrien Broner, a four-division champion Mayweather mentored early in Broner’s career. The 40-year-old Pacquiao (60-7-2, 39 KOs) will defend his WBA world welterweight title when he boxes Broner (33-3-1, 24 KOs, 1 NC) on January 19 at MGM Grand Garden Arena in Las Vegas. If Pacquiao wins their Showtime Pay-Per-View main event, talk of a Mayweather rematch immediately will intensify. Their first fight was a critical failure, particularly after Pacquiao claimed he entered their incomparably hyped bout with a shoulder injury sustained during training camp. Mayweather won their 12-round welterweight championship match by unanimous decision in May 2015. As much as dissatisfied fans complained about the mundane nature of the fight itself, Mayweather-Pacquiao was the most successful financial venture in boxing history. Their fight produced approximately 4.6 million pay-per-view buys, a record for combat sports, and generated in excess of $600 million in overall revenue. A rematch is unlikely to do that type of business based on some of the public’s lingering disgust from their first fight. Mayweather-Pacquiao II still is considered among industry insiders to be the most profitable pay-per-view event the sport can offer. For today, however, Mayweather was left to place a positive spin on a complete mismatch against a brave but outclassed kickboxer. The undefeated five-division champion barely needed two minutes to expose Nasukawa in an exhibition that won’t count on either fighter’s record. He floored Nasukawa with a lunging left hook just one minute and eight seconds into their bout at Saitama Super Arena. Mayweather scored two more knockdowns before Nasukawa’s trainer entered the ring to stop Mayweather’s dominant performance in their welterweight exhibition.